Congratulations on tying the knot! Your newlywed bliss and everlasting love deserves an unforgettable celebration, complete with post-wedding relaxation and new-chapter adventures. 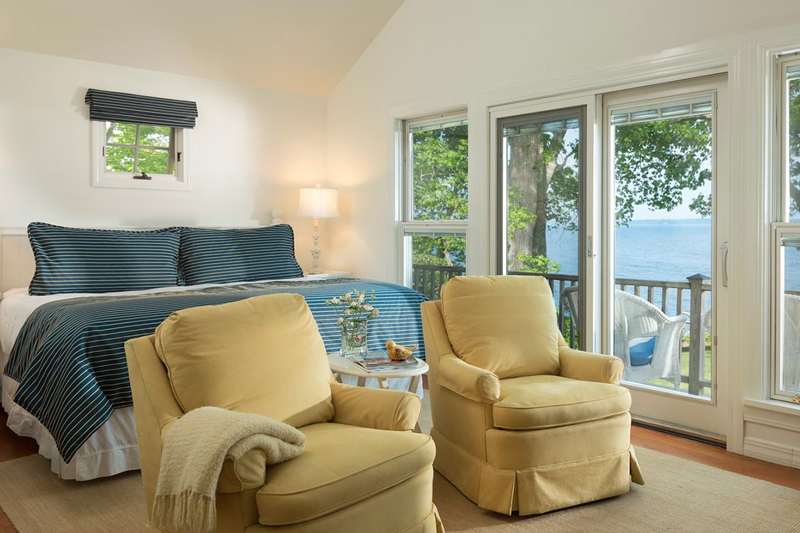 If you’re contemplating a New England honeymoon between spring and fall, look no further than Maine’s breathtaking coastline and make our romantic Inn near Camden your home away from home. Perched right on the coast, the Inn at Sunrise Point provides privacy and peace with spectacular views. Choose from our variety of ocean view rooms, lofts, suites and private cottages to spend your days spoiling each other. Our romantic accommodations are complete with gas or wood burning fireplaces, and many have double Jacuzzi or deep soaking tubs, setting the mood and offering endless opportunities to cozy up with your one and only. While we won’t blame you if you never leave your room, we do highly encourage you to join us for an unbelievable 3-course breakfast every morning, served in our dining room and ocean-facing conservatory. See our sweet and savory sample menus and be sure to pack your appetites. A honeymoon is that special time when everything slows down; the excitement of the Big Day is behind you, and your entire future together lies ahead where anything and everything is possible. Bask in this moment, because it’ll be gone before you know it. Find comfort as you settle into your romantic lodging while spending time just being with one another. Take in the serene scenes of sailboats and sunrises, stroll hand-in-hand along the coast, enjoy afternoon refreshments and evening cocktails on our peaceful property. Get the full picture. Being situated where we are means we have access to so many fun activities to fill your days during your New England honeymoon. Midcoast Maine offers an array of exciting outdoor adventures, fine dining, and spectacular shopping. If you’re joining us in the warmer months, get some fresh air and take a hike to see phenomenal views of Penobscot Bay and Camden Harbor from the top of Mt. Battie, go for a bike ride, or get out on the water for a sailing excursion! 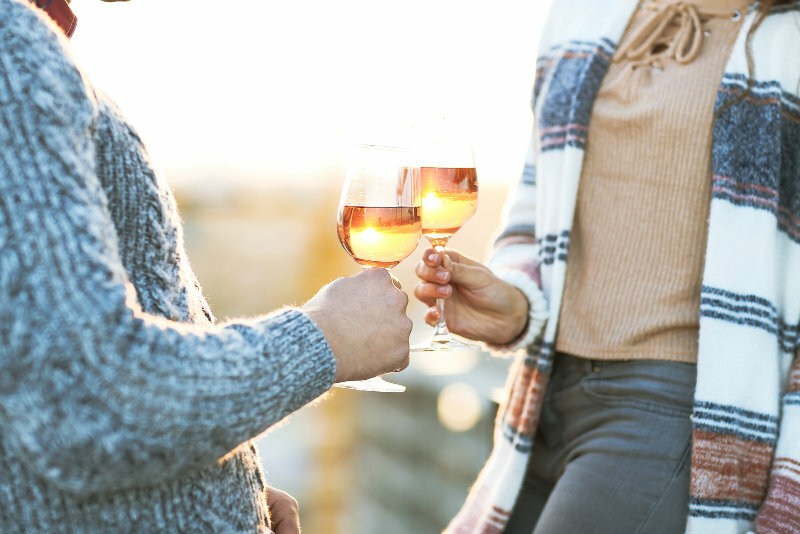 Head to Camden Village for some great shopping, take in some performing arts or peruse a museum in the area, and treat yourselves to a romantic date night at one of the many incredible restaurants around the Inn. Learn more about #midcoastmaine and our favorite activities. VIP tour of Cellardoor Winery where you’ll learn about the winemaking process from a knowledgeable guide and sample wines and local cheeses. However you envision spending your New England honeymoon, the Maine coast and the Inn at Sunrise Point is the ideal setting for romance, relaxation, exploration and adventure. We’d be honored to host you during this celebratory milestone in your long and happy love story. Cheers to you!